Primary and secondary education is predominantly public (private schools also exist, in particular a strong nationwide network of primary and secondary	Catholic education), while tertiary education has both public and private elements. While the French trace the development of their educational system to	Charlemagne, the modern era of French education begins at the end of the nineteenth century. 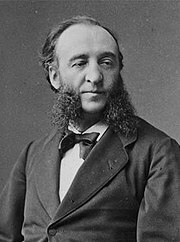 Jules Ferry, a lawyer holding the office of Minister of Public Instruction in the	1880s, is widely credited for creating the modern Republican school (l'école républicaine) by requiring all children under the age of 15 -- boys and girls -- to attend. He also made public instruction	free of charge and	secular (laïc). All educational programs in	France are regulated by the Ministry of National Education (officially called Ministère de l'éducation nationale, de l'enseignement supérieur et de la recherche). The head of the ministry is the	Minister of National Education, one of the highest-ranking officials in the cabinet. As of August	2005, the Minister is	Gilles de Robien. The teachers in public primary and secondary schools are all state	civil servants, making the ministère the largest employer in the country. Professors and	researchers in France's universities are also employed by the state. At the primary and secondary levels, the	curriculum is the same for all French students in a given grade, in public and semi-public (or subsidised) institutions. However, there exist specialised sections and a variety of options that students can choose. The reference for all French educators is the Bulletin officiel de l'éducation nationale, de l'enseignement supérieur et de la recherche (B.O.) which lists all current programs and teaching directives. It is amended many times every year. In France, academic councils called académies (English : academies) are responsible for supervising all aspects of University education in a given region. Universities are answerable to their académie, and the académies are answerable to the Ministry of Education. However, private Universities are independent of the state and therefore independent of the académies. The French territory is divided into 35 académies, 26 of which are located in mainland France and 9 in	French overseas territories. One académie often spans a few départements, the most commonly used administrative unit in France. Académies also cover French schools located abroad so that the	Lycée Français Charles de Gaulle in London, for example, falls under the jurisdiction of the	Lille	académie. The académie headquarters (termed rectorat) is usually located in the largest city in the concerned territory. It is headed by a recteur. The main responsibility of the	académie is to manage personnel and state budgets pertaining to the education system. It serves as a link between regional specificities and the centralized governing body in	Paris. It ensures the implementation of the official educational programs produced by the Ministry. At one level down in the national education hierarchy, each	département also has its own 'inspection académique', headed by an inspecteur d'académie. Note that the académie, as an education-based territorial unit, has no relation with l'Académie française, the authoritative body concerning the	French language. In the	Metropolitan territory, the school year extends from early-September to early-July. Most students have finished their year by	Bastille Day,	14 July. The school calendar is standardised throughout the country, and is the sole domain of the ministry. For the	2005-2006 school year, the first day of classes across the country is	2 September. The year ends on	4 July. In	French overseas departments and territories, the school calendar is set by the local recteur. summer (été), two months starting in early-July. All Saints, Christmas and summer vacations occur simultaneously across the country. For the winter and spring breaks, the country is divided into three zones (A, B, and C) and each zone's vacation dates are shifted by one or two weeks to prevent families from crowding up in popular destinations such as ski and seashore resorts. Schooling in	France is mandatory as of age 6, the first year of primary school. Many parents start sending their children earlier though, around age 3 as	kindergarten classes (maternelle) are usually affiliated to a borough's primary school. Some even start earlier at age 2 in pré-maternelle classes, which are essentially	daycare centres. The last year of maternelle, grande section is an important step in the educational process as it is the year in which pupils are introduced to	reading. After kindergarten, the young students move on to	primary school. It is in the first year (cours préparatoire) that they will learn to write and perfect their reading skills. Much akin to other educational systems, French primary school students usually have a single teacher (or perhaps two) who instructs in many different disciplines, such as	French,	mathematics,	natural sciences,	history and	geography to name a few (the latter two are seldom separated). Note that the French word for a teacher at the primary school level is professeur des écoles (previously called instituteur, or its feminine form institutrice). Religious instruction is not supplied by public schools. Laïcité (secularism) is one of the main precepts of the	French republic. Pupils therefore have	civics courses to teach them about la République, its function, its organization, and its famous motto Liberté, égalité, fraternité (Freedom, equality, brotherhood). In a March	2004 ruling, the French government banned all "conspicuous religious symbols" from schools and other public institutions with the intent of preventing	proselytisation and to foster a sense of tolerance among ethnic groups. The law was not welcomed by all though, and some	religious and	libertarian groups showed their opposition, saying the law hindered the freedom of religion as protected by the French constitution. the lycée for the next three years. The completion of secondary studies leads to the baccalauréat. The brevet is the first official diploma a pupil has to sit. It is now required in order to enter	high school (lycée). The school marks for the whole of the final year (3ème) and the year before it (4ème) are taken into account for half of the mark. However starting from	2007 only the marks from the final year (3ème) will be taken into consideration. The other half of the mark is comprised of the final exam, the brevet. Pupils are only tested on French, mathematics and history/geography, for the exam. For more details on this topic, see	Baccalauréat. The baccalauréat (also known as bac) is the end-of-lycée diploma students sit for in order to enter	university, a classe préparatoire, or professional life. The term baccalauréat refers to the diploma and the examinations themselves. It is comparable to	British	A-Levels,	American SATs, the	Irish	Leaving Certificate, Australia's	Higher School Certificate and the	German	Abitur. Most students sit for the baccalauréat général which is divided into 3 streams of study, called séries. The série scientifique (S) is concerned with the	natural sciences, physics or mathematics (another stream exists, called série scientifique sciences de l'ingénieur (SSI), a série scientifique baccalauréat with two more specializations, génie électrique and génie mécanique. ), the série économique et sociale (ES) with	economics and	social sciences, and the série littéraire (L) focuses on	French and	foreign languages and	philosophy. However, these séries are not exactly specializations and every bac-possessor has the right to integrate any public university in his catchment area if this applies to the subject he wishes to apply for. Students having followed the L series do not have enough scientific knowledge from high school alone to succeed in science university courses, therefore some combinations of baccalauréats and university courses are very rare. There is also the baccalauréat technologique and baccalauréat professionnel. A striking trait of French higher education, compared to other countries, is the small size and multiplicity of establishments, each specialized in a more or less broad spectrum of disciplines. A middle-sized French city, such as	Grenoble or	Nancy, may have 2 or 3 universities (for instance: science / sociological studies), and also a number of engineering and other specialized higher education establishments. For instance, in Paris and suburbs, there are 13 universities, none of which are specialized in one area or an other, and a large number of smaller institutions which are very specialized. It is not uncommon for graduate teaching programmes (master's degrees, the course part of	PhD programmes etc.) to be operated in common by several institutions, allowing the institutions to present a larger variety of courses. In engineering schools such as	École polytechnique, it is not uncommon that a large share of the teaching staff is not made up of permanent professors, but of part-time professors hired to teach one specific point only. These part-time professors are generally hired from neighbouring universities, research institutes, or industry. Another originality of the French higher education system is that a large share of the scientific research is not done by universities, but by research establishments such as	CNRS or INSERM. In many cases, the research units of those establishments are installed inside universities (or other higher education establishments), and jointly operated by the research establishment and the university. It is also fairly common that research staff teach some graduate classes. However, this research staff will not be counted as part of the normal academic staff of the university. These traits can cause international	university rankings to underestimate French universities due to the criteria used. Another characteristic is the low tuition costs. Since higher education is funded by the state, the fees are very low: the tuition varies from 150 € to 400 € depending on the university and the different levels of education (licence, master, doctorat). One can therefore get a Master's degree (in 5 years) for about 750-2,000 €. Additionally, students from low-income families can apply for scholarships, paying nominal sums for tuition or textbooks, and even getting a monthly stipend. However the price for tuition in engineering schools can reach 5000 € a year, and some business schools charge up to 8000 € a year. Health insurance for students is free until the age of 25, so only the living costs and books expenses have to be added. The public universities in France are named after the big cities near which they are located, followed by a number if there are several. Paris, for example, has thirteen universities, labeled Paris I to XIII, most of them are however not in	Paris itself, but in the suburbs. In addition, most of the universities have taken a more informal name which is usually the one of a personality or a particular place. Sometimes, it is also a way to honor a famous alumni . For example, the science university in Strasbourg is known as "Université	Louis Pasteur" while its official name is "Université Strasbourg I". The French system is currently undergoing a major reform, the	Bologna process, which aims at creating European standards for University studies, most notably a similar time-frame everywhere, with three years devoted to the Bachelor's degree (licence in French), two for the Master's, and three for the doctorate. French universities have also adopted the ECTS credit system (for exemple a licence is worth 180 credits). However, the traditional curricula based on end of semester examinations still remains in place in most universities. This double standard has added complexity to a system which also remains quite rigid. It is for example difficult to change a major during undergaduate studies without losing a semester or even a whole year. Students usually also have few course selection options once they enroll in a particular diploma. The Grandes écoles of France are higher education establishments outside the mainstream framework of the public	universities. They are generally focused on a single subject area, such as	engineering, have a moderate size, and are often quite selective in their admission of students. They are widely regarded as prestigious, and traditionally have produced most of France's scientists and	executives. The classes préparatoires aux grandes écoles (CPGE) is a prep course with the main goal of training students for enrollment in a Grande École (and especially an	engineering school, see : Grandes écoles); of wich the best known and prestigious are	Lycée Saint-Louis,	Lycée Louis-Le-Grand,	Lycée Henri IV et	Lycée Sainte-Geneviève. Admission to the CPGE is very competitive and is usually based on performance during the last two years of high school, called Première and Terminale. The CPGE are located within high schools but pertain to tertiary education, which means that each student must have passed successfully their Baccalauréat (or equivalent) to be admitted in CPGE. Each CPGE receives the files of hundreds of applicants worldwide every year during April and May, and selects its new students under its own criteria (mostly excellency). A few CPGE programmes, mainly the private CPGEs (which account for 10% of CPGEs), also have an interview process or look at a student's involvement in the community. CPGE programs have a nominal duration of two years, but the second year is sometimes repeated once, mostly in the scientific sections, where the student gets then the status of cinq demi ("five halves"), for he was only a trois demi ("three halves") during his first second year. The explanation behind those names is that the most coveted engineering school is the	Ecole Polytechnique, nicknamed the X (as the mathematical	unknown). In French, a student is said to integrate a school when they are allowed to enroll in it. A student is called a 3/2 if he integrates the Ecole Polytechnique between his first and second year of preparatory class since the	integral of x from 1 to 2 is 3/2. The same idea is valid for "cinq demi", since the integral of x from 2 to 3 is 5/2. Students enrolled in their second second-year are also called "carrés" (squares), and a few turn to "cubes" for a third and final second-year. These terms probably stem from repeated attempts at applying to "X" (Polytechnique), yielding	x2 and	x3. Some ambitious professors encourage their top students to eschew admittance to other prestigious schools in order to try their hand at X one more time...Despite this high standard, the 30 000 students in classes préparatoires must face the fact that they won't go all to the Ecole Polytechnique. The reknown ingeneering schools Centrale Paris and Ecole Nationale des Mines de Paris are also a proud goal to obtain for these students. The most known CPGEs are certainly the scientific ones, which can only be accessed by scientific	Bacheliers. Scientific CPGE are called either MP ("Mathematics and Physics") or PC ("Physics and Chemistry"), etc. First year CPGE students are called the 'Math Sup' - or Hypotaupe - (Sup for "Classe de Mathématiques Supérieures", superior in French, meaning post-high school), and second years 'Math Spé' - or Taupe - (Spés standing for "Classe de Mathématiques Spéciales", special in French). The students of these classed are called Taupins. Both the first and second year programmes include as much as sixteen hours of mathematics teaching per week, ten hours of physics, two hours of philosophy, two to four hours of (one or two) foreign languages teaching and two to three hours of minor options: either SI, Engineering Industrial Science or Theoretical Computer Science (including some programmation using the	Pascal or	CaML programming languages, as a practical work). With this is added several hours of homeworks, which can rise as much as the official hours of class. A known joke among those students is that they are becoming monks for two years. Sometimes three. The litterary and humanities CPGEs have also their own nicknames, Hypokhâgne for the first year and Khâgne for the second year. The students are called the khâgneux. These classes prepare for schools such as	Écoles Normales Supérieures. There are also CPGE which are focused on economics (who prepare the admission in	business schools). These latter are known as "Prépa EC" and are split in two parts ("prépa EC spe mathematics" , generally for those who graduated the baccalaureat S and "prépa EC spe éco" , for those who were in the economics section in the lycée.). The students of CPGE are also matriculated in universities, and can rejoin college in case of failure of their grandes écoles ambitions or if they just do not wish to become engineers and feel not able to pass the Écoles Normales Supérieures competitive examinations. The ratio of students who failed to enter grandes écoles is low in the scientifics and economics CPGE, but high in humanities, for the only Grandes Écoles aimed in these classes are the	Écoles Normales Supérieures. The amount of work required of the students is exceptionally high. In addition to class time, homeworks, students spend several hours each week completing exams and 'colles' (very often written 'khôlles' to look like a Greek word, this way of writing being initially a khâgneux joke). The so called 'colles' are unique to French academic education in CPGEs. They consist of oral examinations twice a week, in math, physics, French and the first foreign language, usually English or German. Students, usually in groups of three, spend an hour facing a professor alone in a room, answering questions and solving problems. In CPGE littéraires (humanities), the system of 'colles' is a bit different. They are taken every trimester in every subject. Students have one hour to prepare a mini-presentation that takes the form of a 'dissertation' (in history, philosophy...) on a given topic, and that of a 'commentaire composé' (a methodologically codified commentary) in literature and foreign languages; as for the Ancient Greek or Latin, they involve a translation and a commentary. The student then has 20 minutes to present his work to the teacher, who ends the session by asking some questions on the presentation and on the corresponding topic. 'Colles' are regarded as extremely stressful, particularly due to the high standards expected by the teachers, and the subsequent harshness that may be directed at students who do not perform adequately. But they are important inasmuch as they prepare the students, from the very first year, to the oral part of the competitive examination, reserved to the happy few who successfully pass the written part.